Arctic Cat took the covers off of an extremely limited RS Edition 2017 ZR 6000 RS. The RS celebrates Arctic Cat legend Roger Skime. 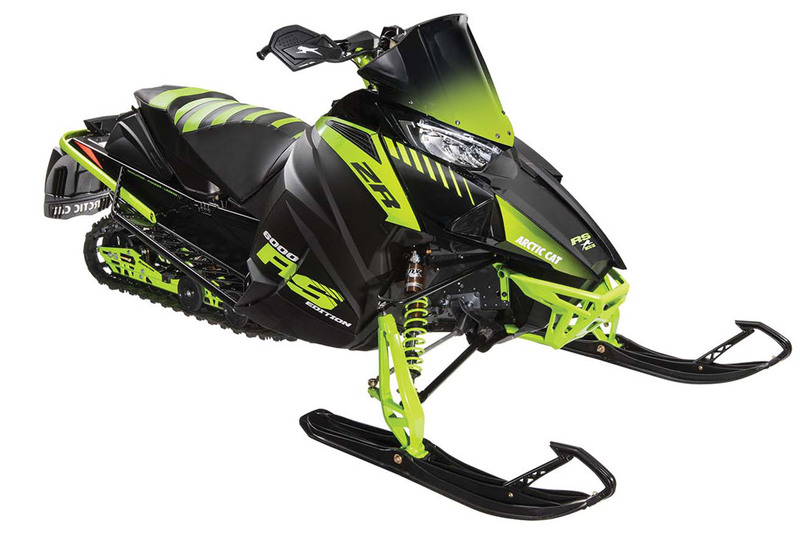 According to Arctic Cat, the RS Edition ZR 6000 reflects Skime’s passion with a “unique, commemorative styling design and component selection.” The RS Edition production is limited to orders taken only during Arctic Cat’s 2017 Snowmobile Dealer Show. 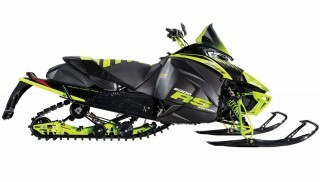 The foundation of the RS is the Arctic Cat C-TEC2 600 two-stroke engine and the ProCross chassis. The 6000-series 600 C-TEC2 2-stroke is designed and manufactured by Arctic Cat. It features Dual-Stage Injection (DSI), batteryless EFI, APV electronic exhaust valves, exhaust pipe temperature sensor and electric oil injection. The ProCross chassis is mated to the ARS front suspension and a Slide-Action rear suspension combination. Skime invented the slide-rail suspension, and Cat calls Slide-Action version on this 2017 ZR is “the ultimate expression of that original design. The RS Edition ZR 6000 comes with all-new body styling with increased airflow. 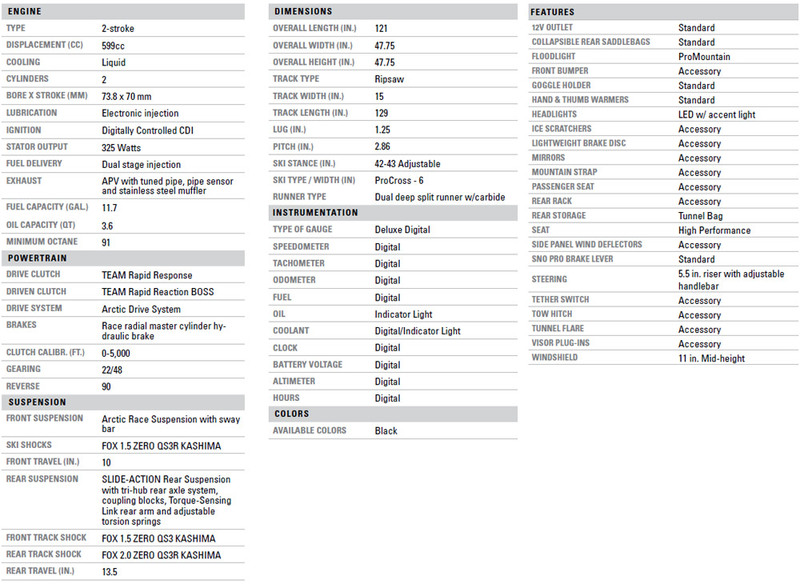 New side panels and hood are easily removed for simplified access to key components. An LED headlight lights the way. Special livery for the RS edition includes graphics and a custom green-striped seat cover. Other features include Quick-switch FOX ZERO QS3R Kashima ski and rear track shocks (with QS3 Kashima on the front track), TEAM Rapid Response and Rapid Reaction clutches, rear storage bag, hand guards, tunnel flares, curved Sno Pro brake lever and ProMountain front bumper.